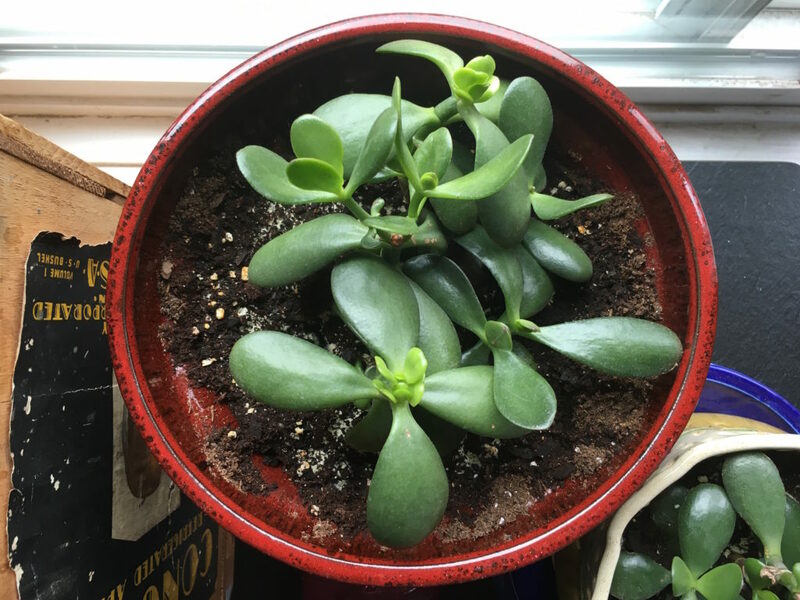 During a visit to Chicago in early summer, I inherited clippings of a jade plant from my cousin. I transported them home in a little plastic bag tucked into a shoe in my suitcase. I planted the clippings into two pots and am pleased to see that they are growing strong. Transplanting success! It got me thinking about the times in my life when I was uprooted and transplanted somewhere new. Almost without exception, each of those times provided me with an opportunity to expand myself in some way. I was forced out of my comfort zone and inspired to create new routines, meet new people, welcome new perspectives, and look upon new vistas. I generally feel sadness when I leave a place that’s been a home to me. The process of transplanting my life is usually accompanied by a period of grief. Thankfully, I know the grief is only a temporary growing pain. Knowing that helps tremendously. Those little plant clippings must have been rather irritated when stuffed inside a plastic bag inside a shoe inside a suitcase and bounced around an airplane, but look at them now. Have you ever been transplanted? How did you grow?